On the stunning autumnal evening of the 1st of November some beautiful music was heard coming from Arundel Cathedral. The Weybridge Male Voice Choir and Opera Bellas performed a wonderful concert for CAFOD’s Hands on Kitui appeal. 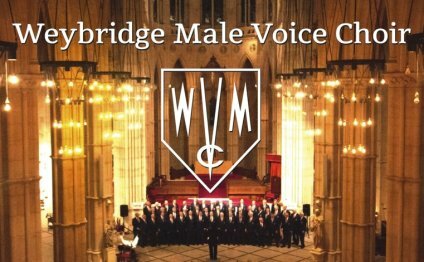 The Weybridge Male Voice Choir who have been singing strong since 1921 approached us with the idea of the concert and we were delighted to be involved. Their professionalism was matched by their friendliness and superb singing. They provided a range of music in the first half of the concert including Ave Maria, The Lord’s Prayer and When the Saints go Marching In. After refreshments they outdid themselves with Morte Christe, My Lord What a Morning and Deep River along with many more. The Musical Director of the Choir was Jonathan Kilhams who started his career as a chorister in Chichester Cathedral, where from an early age he realised his love of choral singing. Now much of Jonathan’s work is taken up with conducting a variety of choirs from Weybridge Male Voice Choir to children’s choirs in Shepperton. Since leaving university in 2012 his conducting career has continued to flourish and is in high demand in London and Surrey. His belief that choral singing is a universal language that has the power to bring people together in times of need is infectious. Beautifully complimenting the Weybridge Male Voice Choir were The Opera Bellas who consist of a classical singing duo formed of Heather Caddick (soprano) and Elspeth Marrow (mezzo-soprano). They voices lifted the hearts and souls of the hundred-strong crowd as they sang Laudate Dominum by Mozart, Panis Angelicus by Franck, Pie Jesu by Andrew Lloyd-Webber and many more. Heather and Elspeth first met at the Morley Opera School in 2012 where they discovered their beautiful blend of voices. Since 2012 the Opera Bellas have gone on to perform at The Dorchester Hotel, The Roehampton Club, The Wandsworth Civic Centre and at venues in Norfolk, London and Surrey. They have released two CD’s; in 2013 Opera Bellas: The First Noël, which consists of Christmas Carols accompanied by acoustic guitar and in 2014 Opera Bellas: English Roses, which includes fresh new renditions of operatic and classical favourites. The Opera Bellas regularly busk at the prestigious Covent Garden market and at private parties, event and weddings. We would like to express our sincerest thanks to all those concerned. To those who came to enjoy the wonderful music and support the Hands On Kitui Appeal. Our thanks go to Jonathan and The Weybridge Male Voice Choir for their talent, dedication and enthusiasm and also to Heather and Elspeth for such beautiful music. Thanks also to the Cathedral Parish for welcoming us and for our volunteer in the Parish, Stephanie, who worked very hard on the evening, helped advertise the event and provided a warm welcome to those who came along. All in all we raised over £700 for the Hands on Kitui appeal and £146 for our Ebola appeal from the refreshment stall. But more than this, we raised awareness of our work and together we raised hearts, minds and voices with an evening of joyful and beautiful song.